Great Britain’s Lucy Garner sprinted to her first professional victory in the opening stage of the Tour of Chongming Island in China today. The 18-year-old Argos-Shimano rider got the better of Australian Chloe Hosking (Hitec Products-UCK) and Russian Oxana Kozonchuk in a bunch sprint at the end of a 73.4-kilometre stage in Chongbei. 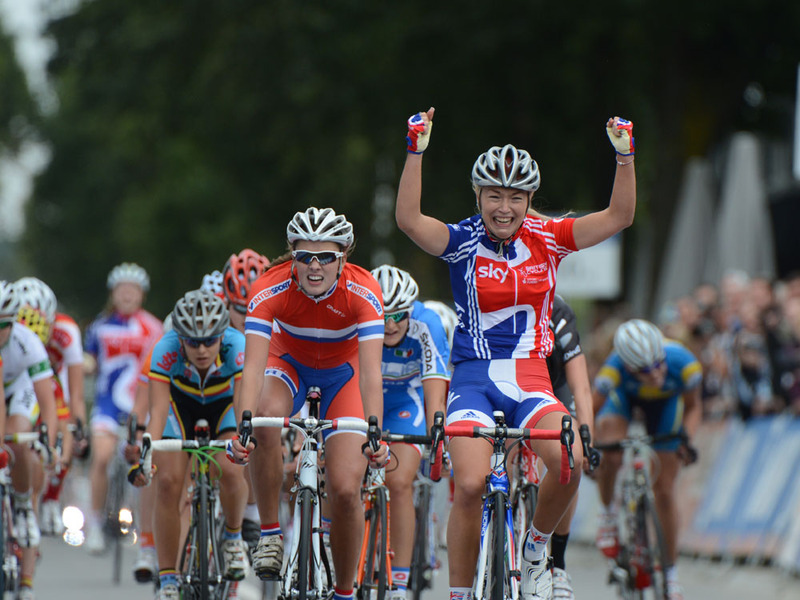 Garner has impressed in her short time with the Dutch squad and this victory comes two-and-a-half weeks after she finished sixth in the Dwars door de Westhoek one-day race in Belgium, which stood as her best result of 2013 until today. “I’m so happy that I took the win today. In the finale it was a bit hectic and l lost the wheel of my teammates, but I moved up to the front in the final kilometers and because there was a tough headwind I waited as long as possible to start sprinting,” Garner told the Argos-Shimano website. “Today everything fell into place. I feel like I’ve finally reached my top form these last few weeks. It is an amazing feeling to win my first race with the elite women. I had hoped for good results this season, of course, but to be given the opportunity to sprint and finish the job is incredible. “I am privileged to be part of this team. They have given me fantastic support, with tough training and coaching. And they have always been there for me and always believed in me, so it’s nice that they trust me and give me the chance to go for the win at such a young age. Team manager Jorn Knops praised the double junior world road race champion for her level-headedness in the closing kilometres, saying: “The plan was to prepare the sprint for Lucy. In the beginning the team looked after Lucy to keep her toward the front and make sure that she wouldn’t waste any energy. In the finale it was pretty chaotic, and she lost the team’s wheel, but she managed to stay calm and sprint to victory in the end. Garner follows in the footsteps of fellow Briton Lizzie Armitstead, who won an identical stage in the race two years ago. Today her Dolmans-Boels team-mate Lucy Martin finished 16th.